For years Rikki followed her twin sister, Holli. If Holli tried it, Rikki tried it. From dance to soccer to horseback riding and track… even yearbook classes in high school. Rikki was always trying to keep up with her twin sister. As Holli went off to college three years ago, Rikki decided to try new things of her own. Rikki joined the Special Connections swim team and changed her path as a follower. Swimming made Rikki shine on her own! 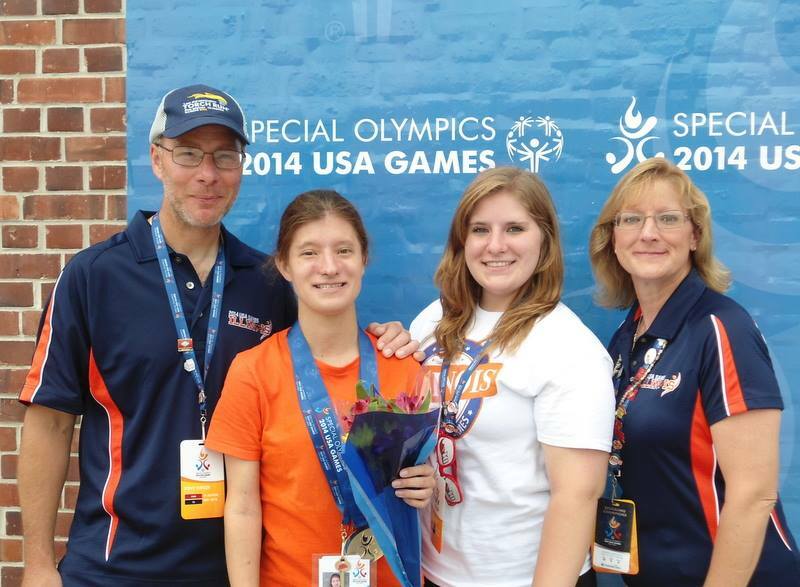 Last year, Rikki was selected to represent Illinois at the 2014 Special Olympics USA Games as an aquatics athlete. As the family followed Rikki to New Jersey, Holli remained Rikki’s biggest cheerleader. 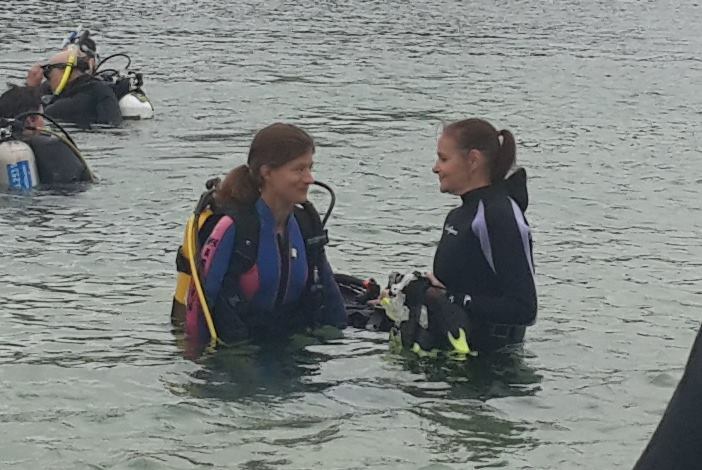 With the confidence Rikki gained from the incredible Special Olympics experience, Rikki decide to try scuba diving. On Sept. 21, 2014, Rikki completed her training and became a certified scuba diver. Now Holli wants to follow Rikki into the water and earn her certification in scuba diving. 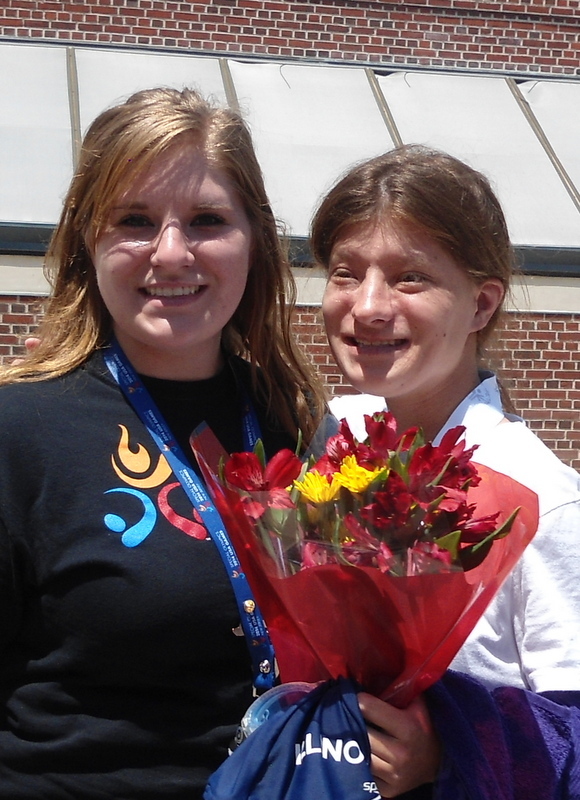 Holli and Rikki can now share their time together, side by side! Through her participation in Special Olympics Illinois Rikki is now the confident young lady that her sister Holli is. Rikki now aspires to become a Global Messenger and really challenge herself the way her sister does.